The module supports all kinds of third-party all-in-one hotel house numbers, doorbells, card panels, and sensor access. Simple commissioning can accomplish functions such as sweeping, undisturbing, energy saving, and power taking. SDR-DCI3528 is a diversified and compact module that supports third-party switch panel access and debugging as a bus program, supports up to 1 active 5~24VDC input, 35 inputs are dry contact inputs, and 28 output output indicators The output voltage is in the range of 5~20VDC, and the output current is more than 100mA. The total output is about 400mA. The universal third-party button input can be used for a variety of scene applications and functions in custom style locations such as homes, offices, and hotel rooms that require a large number of buttons and indicators. The module is designed for the pure hardware architecture of the MCU and has local data processing and channel control. The overall power consumption of the module is low and the task processing is timely. The module communicates via the bus to ensure the stability and reliability of data transmission. Each module has a corresponding physical address. The DIP dialer can be used to set the address of the module to ensure that each module can operate correctly and accurately receive and execute commands transmitted from the bus. The flexible installation and application of “modular” equipment in the actual environment, the system uses a standard 35mm DIN rail mounting, provides convenient installation and maintenance methods for users. 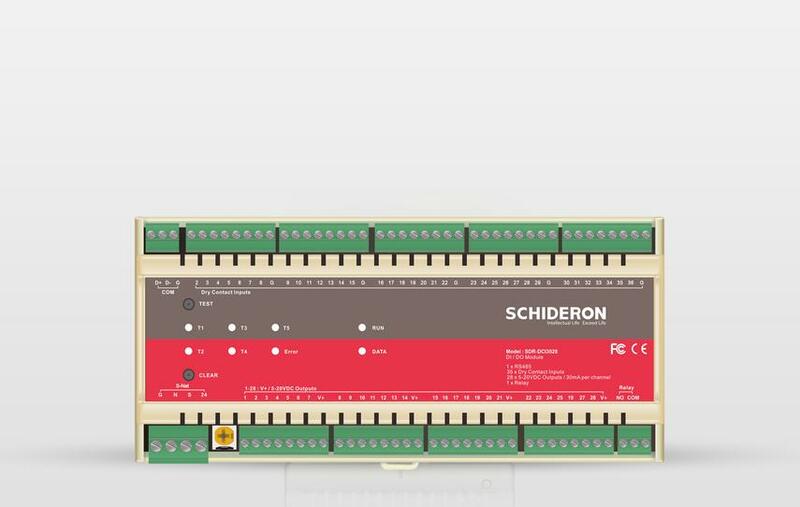 The SDR-DCI3528 is a 35-way dry contact input module that internally generates signal voltages for connection to multiple conventional control panels, passive contacts, or active contacts, and multiple LED indicators. Data can be uploaded to the Intelligent Lighting System (LMS). The module is mounted on a standard DIN rail and the entire data transmission and equipment installation comply with the latest industry standards.